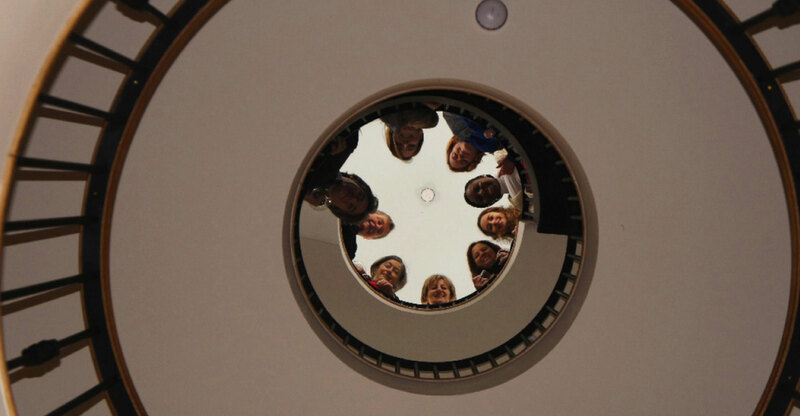 The office is a vibrant mix of professionals with a variety of backgrounds and skills. We are a RIBA chartered Practice and part of the Register of Architects Accredited in Building Conservation. Peregrine Bryant Architects offer a full range of architectural services and consultation. Typically we will follow a project right through from the initial discussions with our client, to occupation and settling the accounts and outstanding issues with the contractor. We have a breadth of experience at all stages of the process, and are available for consultation or to produce specific reports at any point. Listed below are some of the services that we provide, however if you would like to discuss whether we can assist you please do not hesitate to contact us. Peregrine studied at Cambridge University under Sir Leslie Martin. Having worked for many years as a partner in Benson & Bryant, in 1994 he set up Peregrine Bryant Architecture & Building Conservation. Peregrine is an Architect Accredited in Building Conservation, a Crown Estate Approved Architect and on the approved list of the London Diocesan Council. He is also a member of ASCHB, SPAB, the Georgian Group, The Victorian Society, Icomos, The World Monuments Fund, the Friends of the Georgian Society of Jamaica, the Franco-British Union of Architects, the Surveyors Club, and a Trustee of the St Endellion Festivals Trust. Peregrine has enjoyed a long standing relationship with many of his clients, some for over thirty years. Such continuing relationships are a testament to the practice and to the quality of work at Peregrine Bryant and enable both client and architect to work together successfully to the benefit of the building. Kitty read Modern Languages (French, German and Czech) at Cambridge University. She worked in office administration and English Language teaching while bringing up a family. Later she trained as a primary school teacher, specialising in French and the education of visually impaired children. Kitty helped Peregrine set up his practice in 1994. She was the office manager, becoming a partner and financial director when the LLP was formed in 2012. Recently she has handed over some of her responsibilities but is continuing as Personnel Manager and contributing to the management of the practice. Adesola studied the art of being through Architecture at the University of Bath, Academy of Architecture in Switzerland and most recently Cardiff University. Her practical experience ranges from community project presentations in London and bank interiors in Lagos, to private houses in Luanda and Kigali. Her serendipitous foray into the world of Peregrine Bryant began in 2012. During this time she has toiled away on various residential projects including the renovation of a charmingly Lilliputian mews house in South Kensington. Adesolas recent projects range from restoration work on Grade I listed Crichel House and the installation of a glazed lift on a private residence in Knightsbridge. Her eclectic interests include particle physics, languages and traditional Japanese joinery techniques. 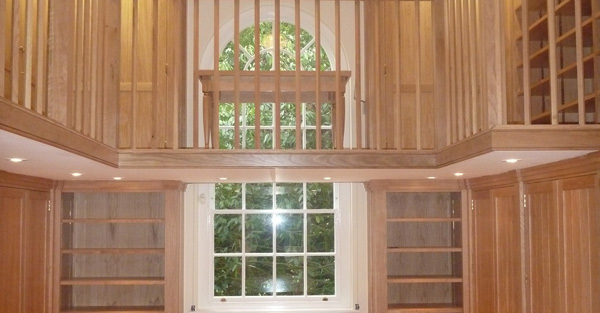 Guy started his career at McCurdy & Co working within a team of specialist craftsmen and consultants on a wide variety of significant timber buildings. He then joined the Historic Royal Palaces as a Surveyor, working on major conservation projects within HM Tower of London World Heritage Site, where he also developed a series of project tours as Expert Lecturer on historic timber construction. Guy has been awarded The COTAC Sir Bernard Feilden Prize for his FDSc Historic Building Conservation studies at Kingston University and IHBC accredited MSc (Distinction) Building Conservation at the University of York. Jennifer has recently returned to PBA after 18 years of extensive experience in the residential, education and leisure sectors. She initially spent two years working at PBA; after graduating from the University of Strathclyde with a Masters Degree in Advanced Architectural design, where her interest in historic buildings began. Since that time, her career has spanned across a wide range of projects, including contemporary and traditional buildings. Jennifer enjoys working closely with clients and has a wealth of experience of providing architectural solutions for challenging projects. She respects the historic significance of existing buildings, while also adopting a modern approach to new interventions where appropriate. Jennifer has aslo recently become an adrenaline junkie, completing a 15,000ft freefall skydive! Oliver joined Peregrine Bryant Architecture in 2016 and has worked on several projects for historically significant buildings including the running of several high-end residential renovations within Grade II listed structures. Prior to working at PBA, Oliver has worked in Brighton and Zurich on a number of challenging educational and residential projects and planning schemes. 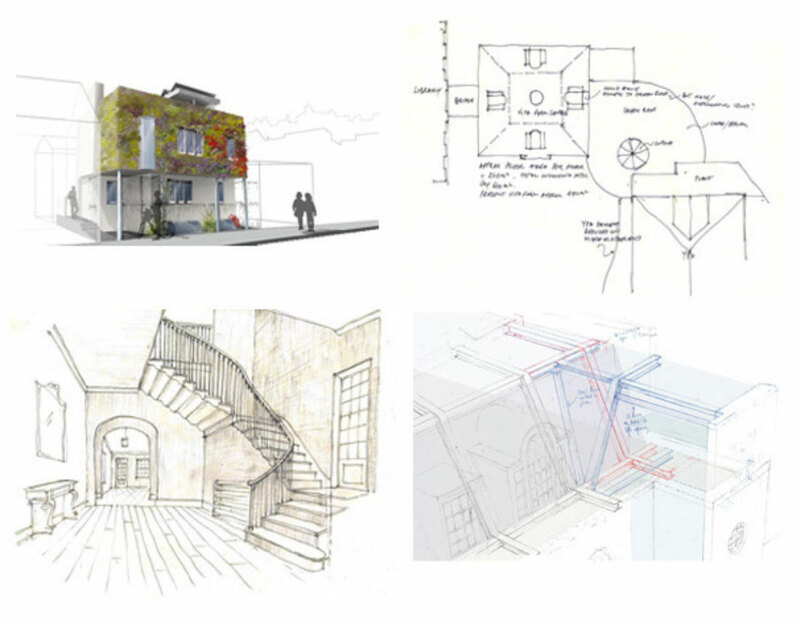 Oliver studied at the Welsh School of Architecture, where he completed his Part 1 and Part 2, before completing his Part 3 qualifications at the University of Brighton. His passion for making and craft have led to a holistic approach to architectural design, with an interest in the user-experience of spaces and a keen eye for detail. Harley is a BA graduate from Kingston University and has acquired a wide range of experience in contemporary housing and extensions across South West London. He is an experienced model maker and has made numerous detailed models for a variety of clients. Harley is interested in how advanced technology can be used in architecture to create sustainable buildings, as well as understanding ways in which it can be integrated into traditional vernaculars. He follows his interest in technology with his interest in Architectural History and the ideas and imagery that have emerged from various eras and how they can intertwine with modern design. Harley is also a keen follower of sport, an avid swimmer and enjoys travelling. Paul qualified as an architect in 1997, and has been a member of the RIBA since 1998. He has wide ranging experience delivering complex projects for a range of clients, and of administering various standard form building contracts for various types and sizes of projects. He has worked on a number of projects involving Grade I listed buildings including the Geffrye Museum and Ashton Court Mansion, and on various high end residential projects. He is presently involved with projects at Radburne Hall in Derbyshire, the Hospital of St Cross in Winchester and Handel House in London. Paul is an RIBA-accredited conservation architect, and has an RICS Postgraduate Diploma in Building Conservation. He also has an MA in Urban Design and postgraduate qualifications in dispute resolution. He recently completed an MSc in Timber Building Conservation taught at the Weald and Downland Living Museum and validated by the University of York. He is a Fellow of the Chartered Institute of Arbitrators. He is a member of ASCHB, SPAB and the Building Limes Forum. Paul is also a RIBA Part 3 examiner for the University of Westminster and the University of Bath. He has been a Part 3 tutor and has lectured on practicing as a conservation architect. He is a member of the RIBA Conservation Advisory Group and in 2018 was a conservation advisor for the London Region of the RIBA Regional Awards. Stanislava received a Master of Sciences Interior and Furniture Design degree from the University of Forestry, Sofia, Bulgaria. She joined Peregrine Bryant Architecture in 2007 and has extensive experience in different types of commercial and residential projects. These include the redecoration of the Grade I Listed Traveller’s Club, the design and specification for the new library and theatre at St. Helen and St. Katharine’s School in Abingdon, the refurbishment of number of listed town houses on St James’s Square and Chelsea, London as well as various of country houses. Most recently she returned working on Royal Hospital Chelsea, designing future-proof New Hobby Building Premises, including full FF & E.
Before moving to the UK Stanislava ran her own interior design studio in Bulgaria, managing and designing projects including hotels, private houses and holiday resorts, all from conception to completion. Her approach to work is to create environmentally conscious design, tailored and timeless schemes with a signature elegant and luxurious style with attention to quality, detail and the merit of combining form, light and colour in a most harmonious way. Ben completed his Part 1 Studies at the University of Kent before joining Purcell in their Oxford office, working on a variety of significant cultural and residential projects. During his Part 2 Studies he studied in Vienna with Will Alsop and worked on a thesis design project in Aalborg, Northern Denmark. Ben returned from a 2-month project in The Gambia in 2016, designing and building a collection of educational spaces for 4-6 years, encouraging creative expression whilst testing a new educational model. Passionate about travel and exploring new places, Ben has always been interested in working in challenging contextual environments. His interests lie in understanding the narrative of a site or space, and developing a thoughtful response focusing on phenomenology in architecture. Since joining Peregrine Bryant Ben has been working on the Royal Hospital in Chelsea and a residential project in South Kensington. Carolyn studied at the Welsh School of Architecture in Cardiff for her Part 1 and Part 2 qualifications, graduating in 2011. Carolyn first joined Peregrine Bryant in 2009, with a break to dip back into her Part 2 studies and began work on a refurbishment and extension of a lodge in Norfolk. In practice as well as in her studies she has explored her interest in the interface between new and old, both the technical and visual challenge each unique situation creates. Carolyn completed her Part 3 in 2014 at the London Metropolitan University and she is currently project architect for several residential projects including a new build house in Norfolk, conservation of a Tudor manor in Sussex and renovation of a flat in Belgravia. James studied at Leeds and the University of Bath. He worked previously designing and organising exhibitions at Dulwich Picture Gallery. 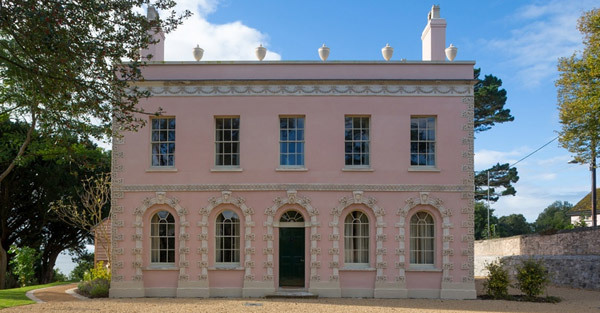 Since joining the Practice, James has worked on a wide variety of listed buildings in London and the South, including Belmont [Kent], 15 St James’ Square, Mappercombe Manor, and more recently James Macneill Whistler’s house at Cheyne Walk, Chelsea. James has also provided ongoing conservation and design advice to a number of organisations including The Landmark Trust, Vivat Trust, and several of the Clubs of St James’. He is a member of ASCHB and The London Sketch Club. Maria graduated from Trinity College Dublin with a BBS (Hons) in 1991 and spent sixteen years working in the city. She joined Peregrine Bryant in 2014. In her spare time she enjoys growing a wide variety of fruit and vegetables in a tiny space and feeding the bee population of South West London. Laura studied architecture at La Sapienza University and Conservation at The Conservation of Monuments School in Rome. She is registered as an architect in Great Britain (RIBA and ARB) and Italy and is a registered Conservation Architect on the RIBA register. She practiced in Italy from 1996 to 2000 and worked on a number of listed buildings, among them several buildings damaged by the 1998 earthquake in Umbria and Marche. In 2000 she joined a group of architects, lead by Prof. Giovanni Carbonara on a conservation project of the Mediaeval Cloister of Ss. Quattro Coronati Monastery in Rome listed within the 100 Most Endangered Sites by the World Monuments Watch. Lauras interests lie in the analysis of the history of buildings and their degree of conservation, which are key instruments in the preservation of historic and artistic integrity of monuments. Martyn completed his architectural training at Bristol and Brighton universities. He has spent many years working on Grade II/II* buildings in Mayfair and in the Greater London area. The range of work includes listed Georgian houses, Bond Street retail buildings and a C16 thatched, half-timbered coaching Inn. He has also worked on completely new contemporary buildings in conservation areas which, whilst being 21st century, respect the proportions, character and urban grain of the preceding generations. Since joining Peregrine Bryant Architecture Martyn has worked across a wide range of projects, using his extensive knowledge and experience to provide technical solutions. Neil joined PBA in June 2017. He became a member of the Association of Chartered Certified Accountants (ACCA) in 2008 and has been a Fellow since 2013. He studied Business at Kingston University including a year spent working at KPMG in London in their international tax team. During his career Neil has worked in the Finance Departments of Private and Public sector organisations helping to improve financial systems and reporting to enable Senior Management and Boards of Directors to make informed business decisions. He has extensive experience in the construction industry, working for building consultancy firms so has a good understanding of the industry and the challenges faced. Helena studied at the Oxford School of Architecture, Oxford Brookes where she developed a keen interest in conservation and regenerative architecture. As part of her part II specialisation she undertook a trip to India where, working with the community, designed a project that both incorporated the recycling of waste and encouraged a connection back with the surrounding heritage monuments. Key motivations were to highlight reuse and create new ways to utilise what was pre-existing whilst providing the community with new revenue streams and improved living conditions. Prior to working at Peregrine Bryant Architecture Helena worked two years for Martin Ashley Architects also specialising in conservation. Projects included sites such as Windsor Castle, Greenwich Old Royal Naval College and Hampton Court Palace. Since joining Helena has been working on Malverleys Gate Lodge and Radburn Hall.